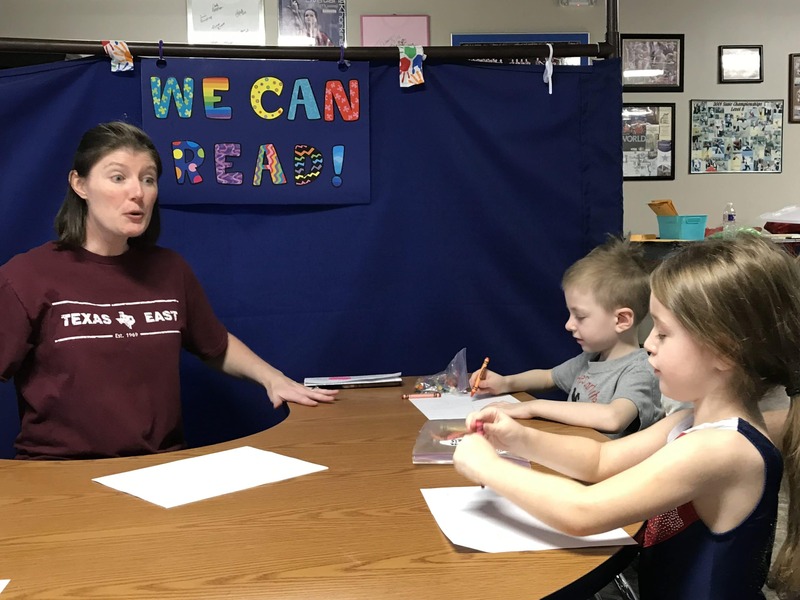 Here at Texas East Kids, we want you and your kids to feel like family. Here’s the whole gang! Meet the friendly faces who own and operate Texas East Kids. Here’s our administrative staff that helps coordinate everything! 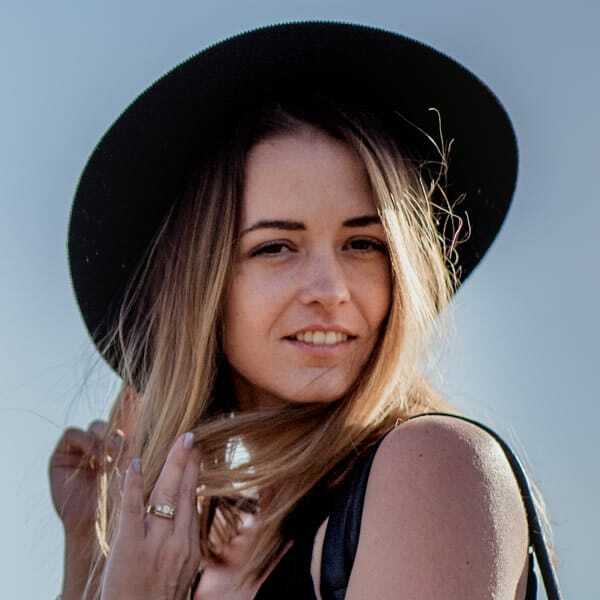 Kelly was born in Redlands, California, but was raised everywhere. 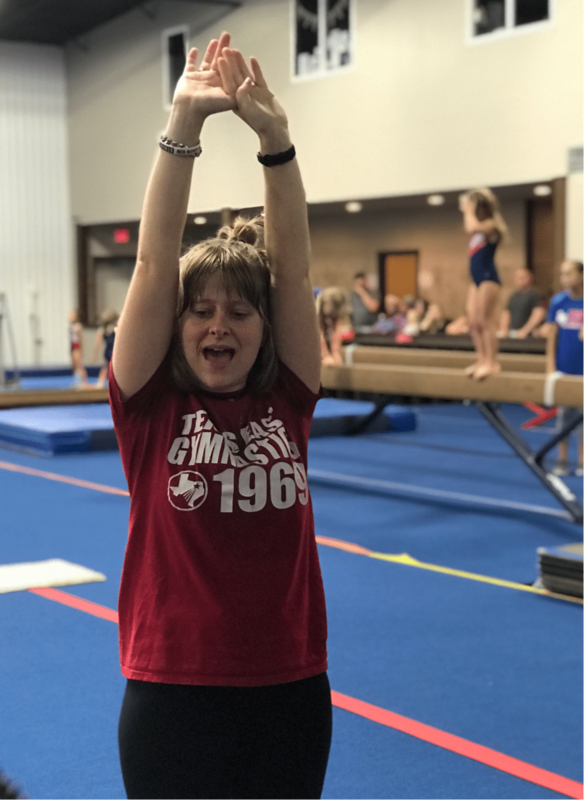 Kelly is the Office Manager of Texas East Gymnastics and the glue that holds everything together! Kelly has been an important member of the TEG team for over 20 years. 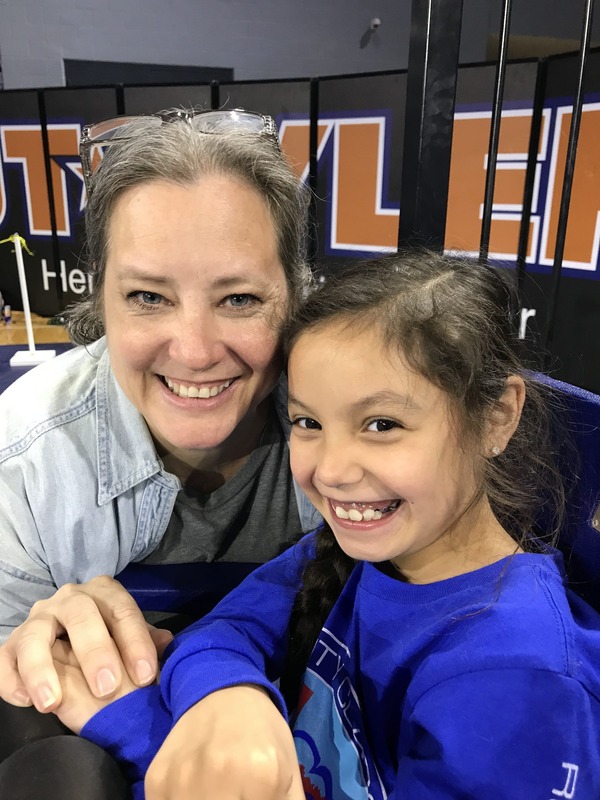 Kelly has done everything from coaching pre-school and Academy classes to assembling furniture and handling plumbing emergencies! I was born and raised in Tyler, TX, and graduated from Robert E. Lee High School, TJC, and UT Tyler. 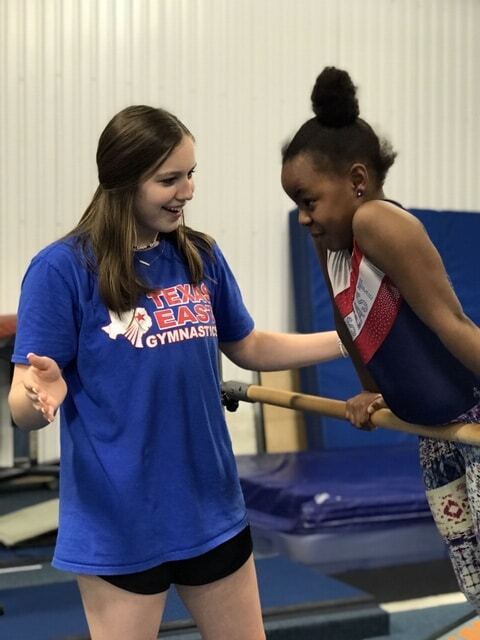 I began attending Texas East Gymnastics at the age of 7 and was a competitive gymnast on our team for 7 years. When my competitive career came to an end, I began a coaching career here that lasted for 14 years. 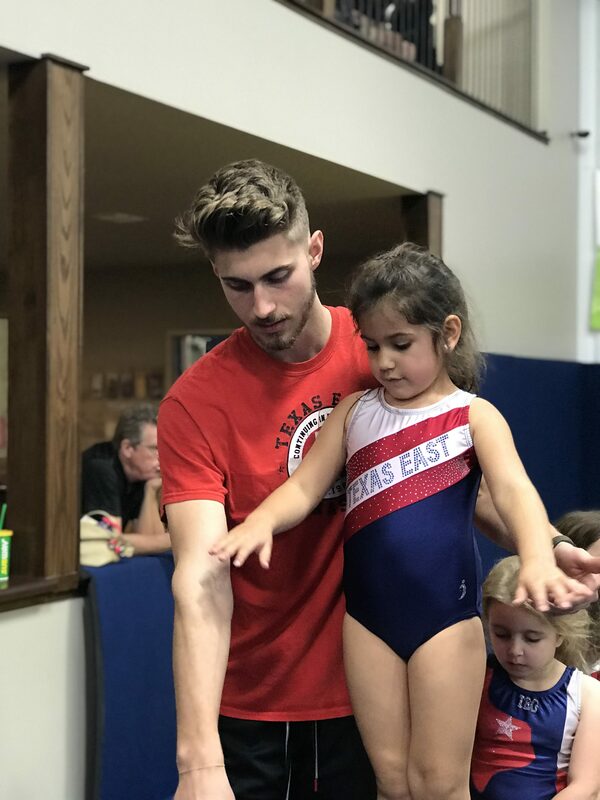 Before I moved to pursue my teaching career, I not only coached the team and recreational classes of all ages and levels but also helped oversee our former Jacksonville facility and Tyler preschool program. 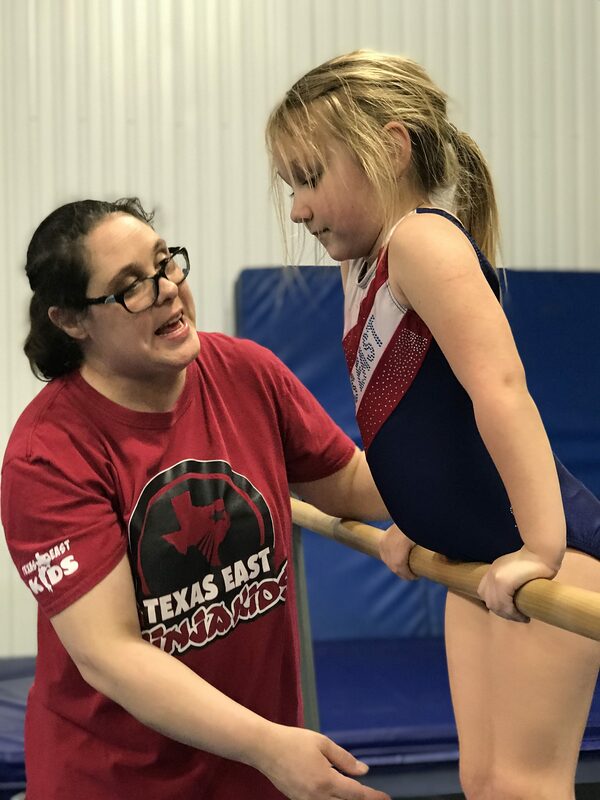 After an 8 year, elementary teaching career, I am thrilled to return to my “home” and first love—Texas East Gymnastics! 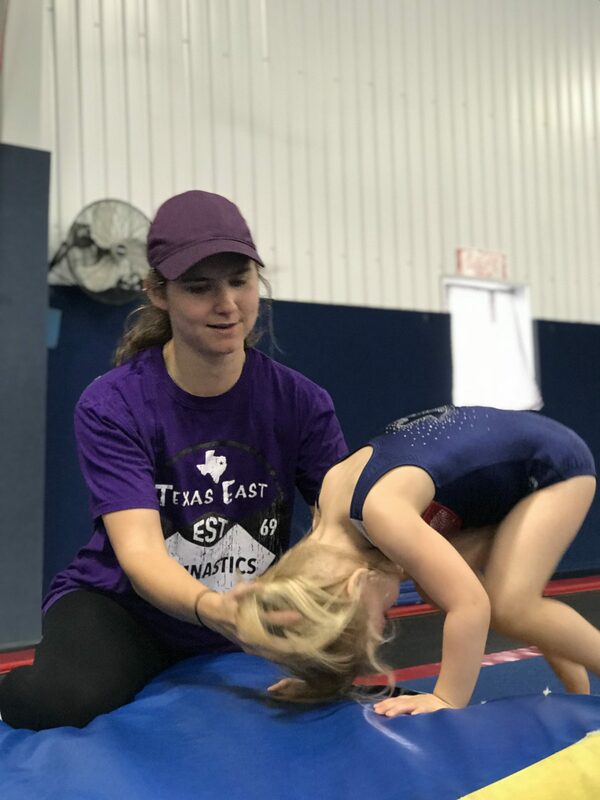 I love working with children, and watching them grow in their self-confidence and skill, and am excited to be able to do so with you at here Texas East Gymnastics! Beth was born in Berkeley, California and attended Stillwater High School in Oklahoma. 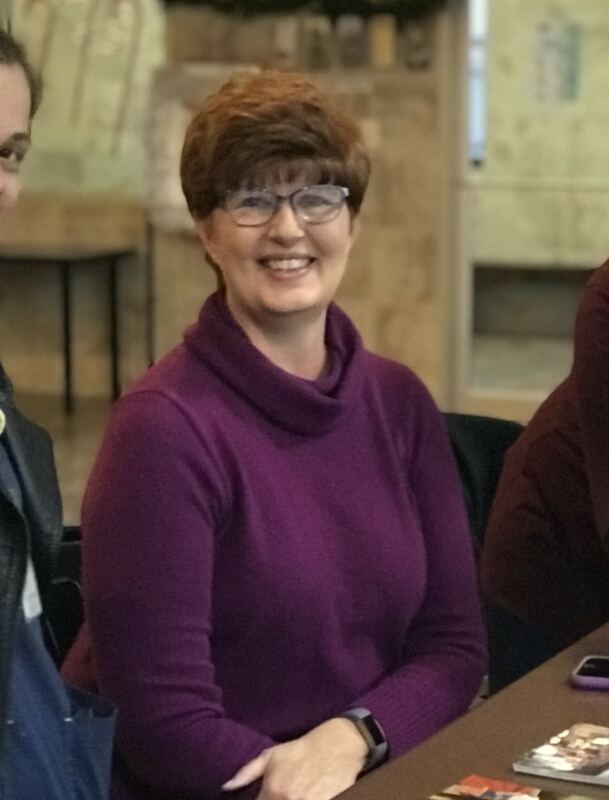 She attended college at William Woods at Fulton, Missouri and Central Methodist College in Fayette, Missouri and worked her summer jobs at Silver Dollar City. 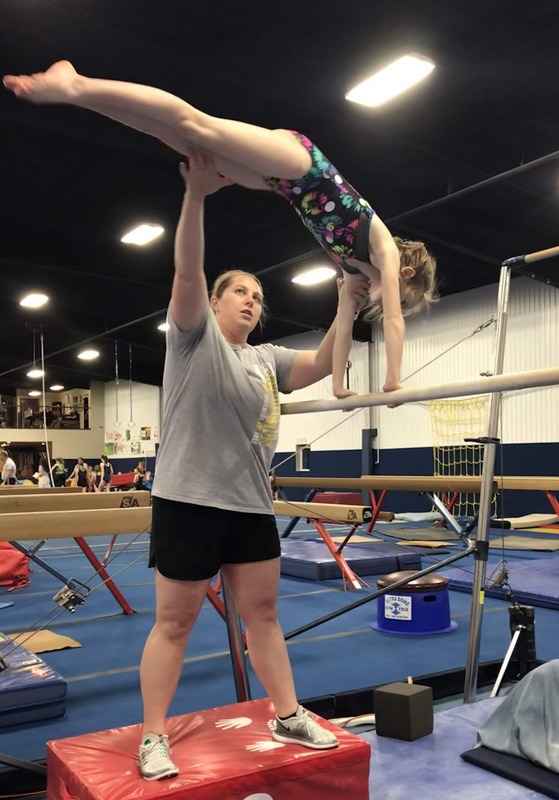 She was a gymnast for 11 years and coached gymnastics for 32 years. She now works behind the desk in the office and behind the camera around the gym. Her hobbies include any artistic endeavor! She hopes to one day travel the U.S. in her fifth wheel with her husband Tommy. Riley was born in Tyler and graduated from Whitehouse High School. She is pursuing a degree in Medical Assisting and is leaving in August to do mission work overseas. She has coached and worked at TEG for 4 years. She is getting married this month (March) to Silas and they will both be on the mission field. Here are our team coaches who train our most competitive athletes! Tom was born in Everett, Massachusetts and graduated from Melrose Senior High School. He earned a Bachelor of Science Degree in Physical Education from Oral Roberts University. 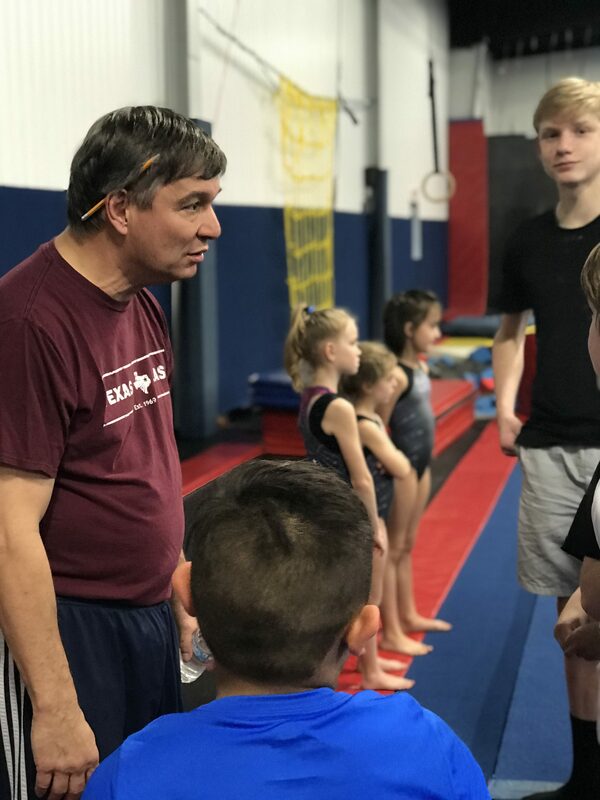 Tom began coaching at Tulsa World of Gymnastics in Oklahoma and has been with TEG for 17 years. He enjoys watching movies and playing with his kids. No one knows that his college friends thought Debbie and Tom getting married was a practical joke…they did not believe they were actually getting married. It has been a great match! Alyssa was born and raised in Paris, Texas. After she graduated from North Lamar High School she attended Paris Junior College. 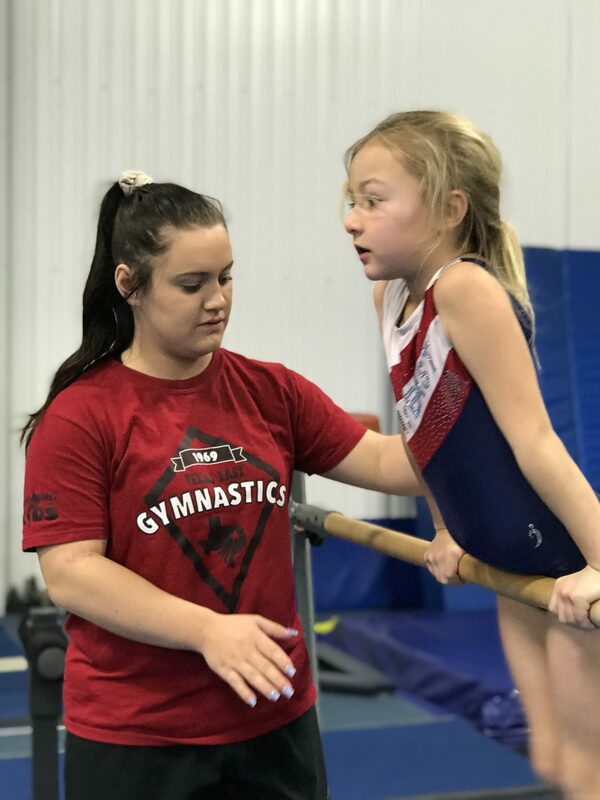 She was a competitive gymnast for 11 years and enjoyed the sport so much, she began coaching once she retired from competing. Alyssa and her husband, Corey have been happily married for 7 years and currently have 3 fur babies. 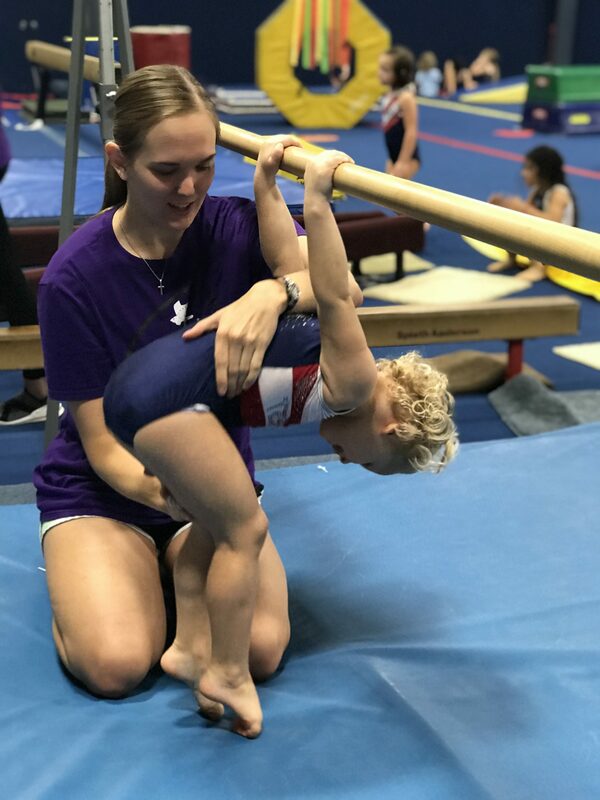 Outside of gymnastics she enjoys, automotive performance, helping with her husband’s business, and spending time with her family. 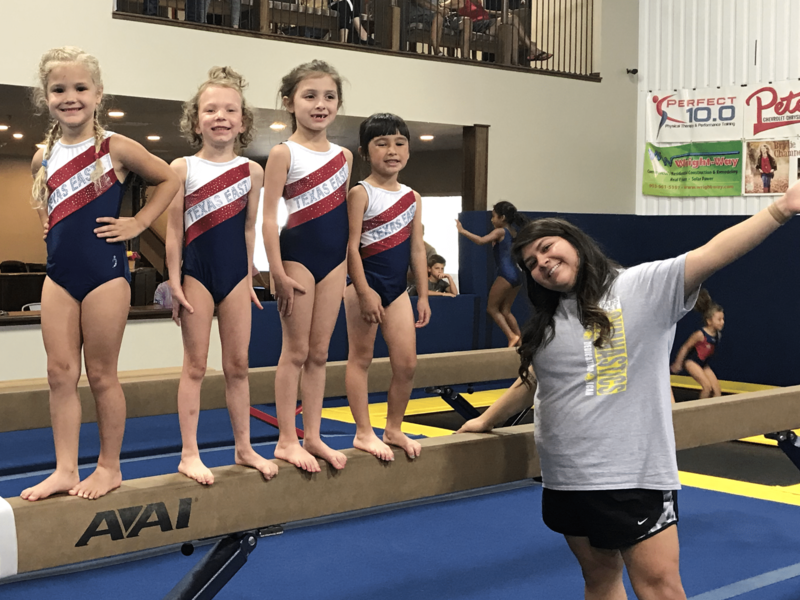 Alyssa is looking forward to inspiring and teaching many generations of gymnasts at TEG. Melanie was born in San Antonio, Tx. She was a former Level 10 gymnast at TEG. She has been married for 17 years. She is a mother to two wonderful kids. 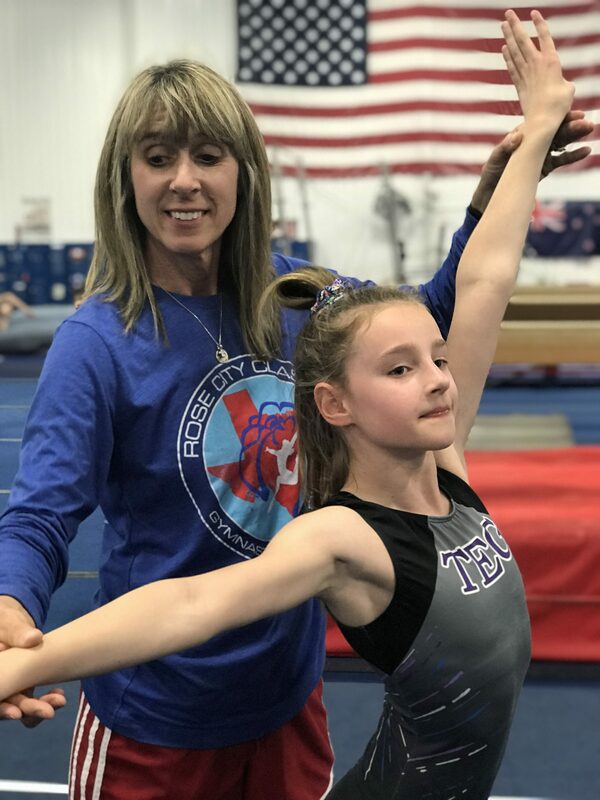 Melanie is the Xcel Team coach at TEG. In her free time she enjoys doing puzzles, four-wheeling and hanging with her family. Graduated from Whitehouse High School in 2015 and is currently a student at TJC. She was born in Dallas but raised here in East Texas and was a cheerleader for 6 years. 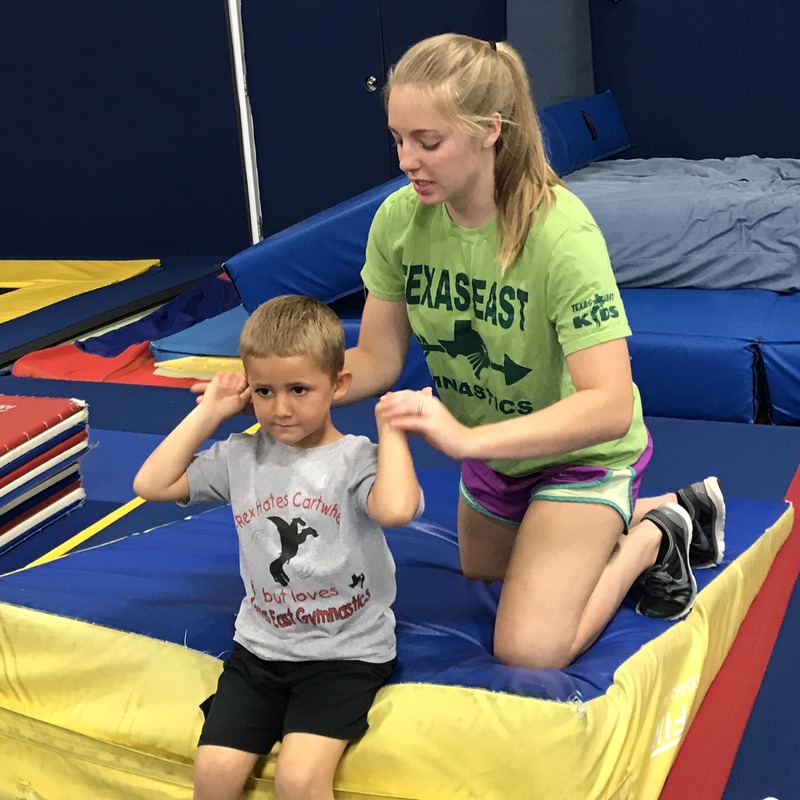 She enjoys working with children and well as animals and loves coaching gymnastics! I graduated from Boswell High School in Fort Worth, Texas. I am now working towards becoming a teacher with one semester left at UT Tyler. Growing up I did gymnastics, soccer, and cheer. 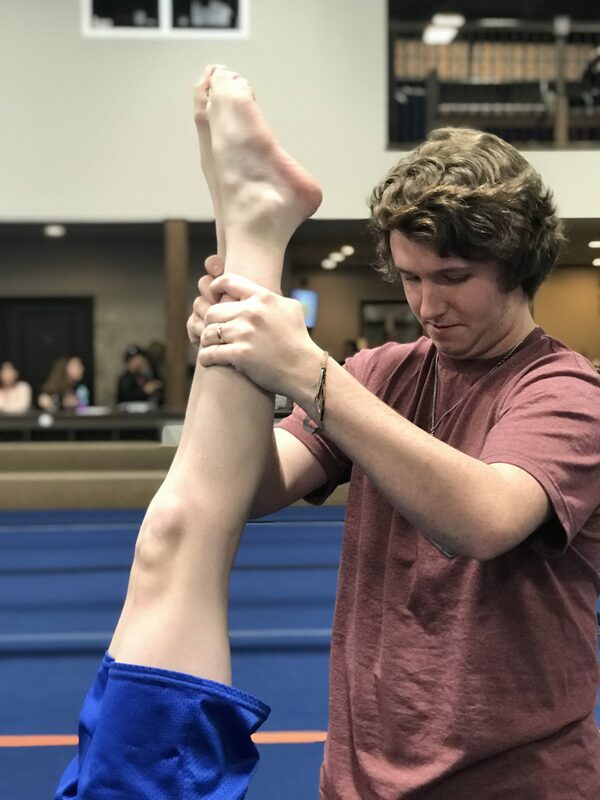 I’m so excited to have made it back into the world of gymnastics and I absolutely love it! Hannah was born in Marshall, Texas. She is currently going to school to receive her massage therapy license. Hannah has received her 2nd degree black belt after 15 years of martial arts and has also done 13 years of ballet. 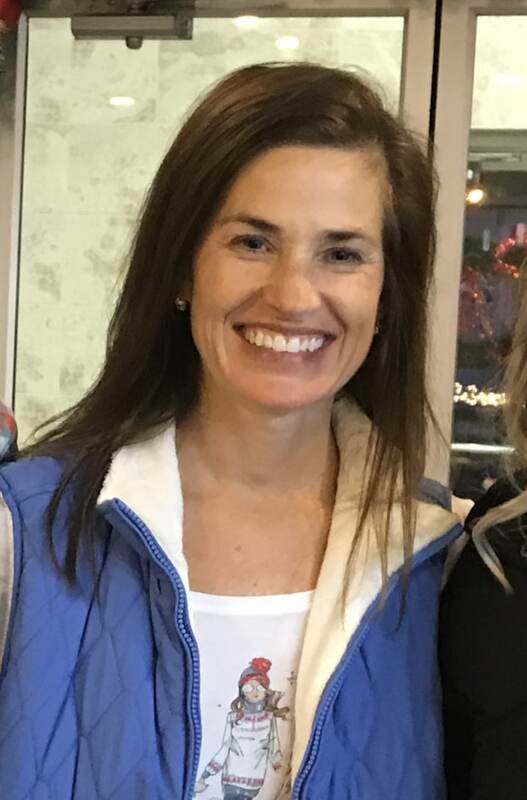 She loves anything athletic, teaching, camping and being with her family. She is engaged to be married to Scottie Alexander this December. Maddy was born in Okinawa, Japan and recently moved to Bullard from Syracuse, NY. She a senior at Bullard High School. She plans to attend Boston University and study Human Physiology. 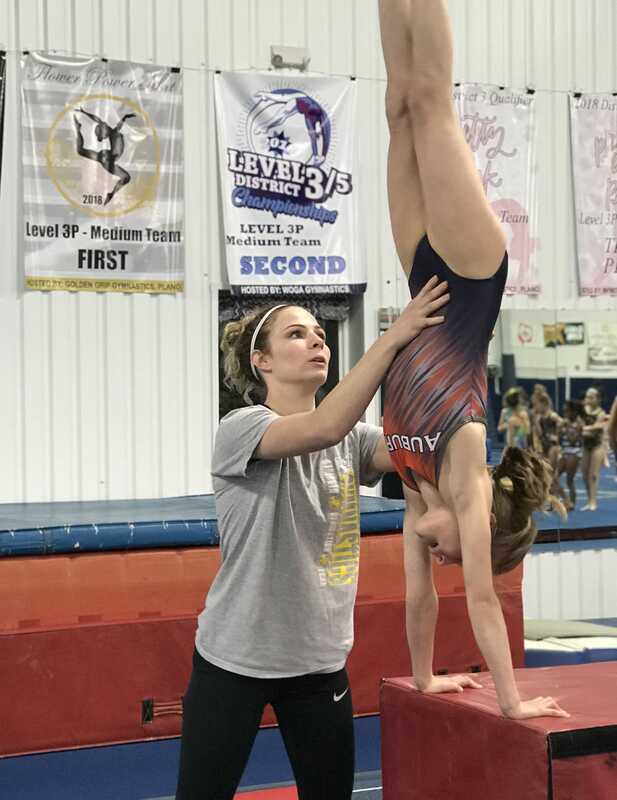 Maddy was a gymnast in NY for 10 years and has enjoyed coached for 4 years. In her spare time she enjoys running, cycling, and spending time with family, friends, and most importantly her dogs. 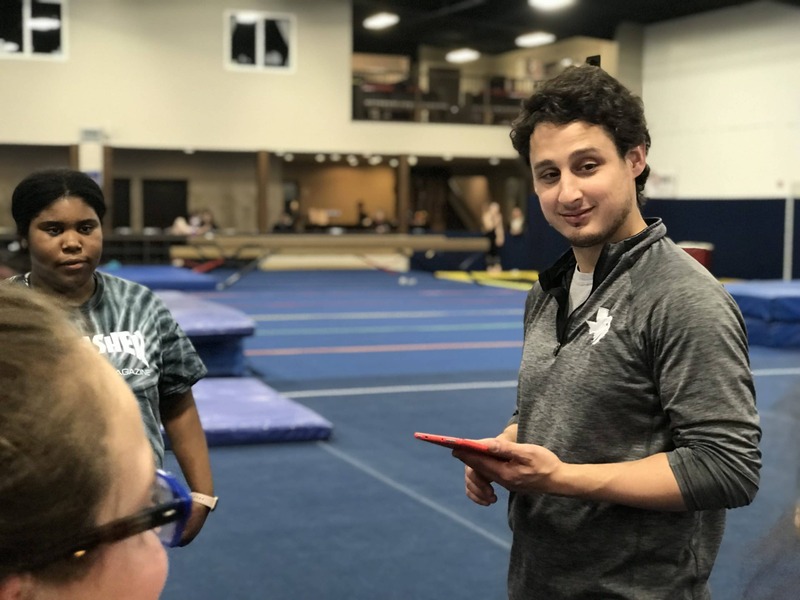 Here are our staff and coaches that really make the gym go ’round! I was born in Los Angeles, CA but grew up here in Tyler and graduated from Bishop Gorman HS in 2008. I attended Truman State University and graduated with a degree in Exercise Science in 2012 before returning home to Tyler. I have been married to my wife, Emily, for 5+ years and have been blessed with three daughters Sadie, 4, Madelyn, 3, and Lily 1. I enjoy swinging on the rings, running, sports of all kinds, board/card games with friends and simply relaxing with my family. 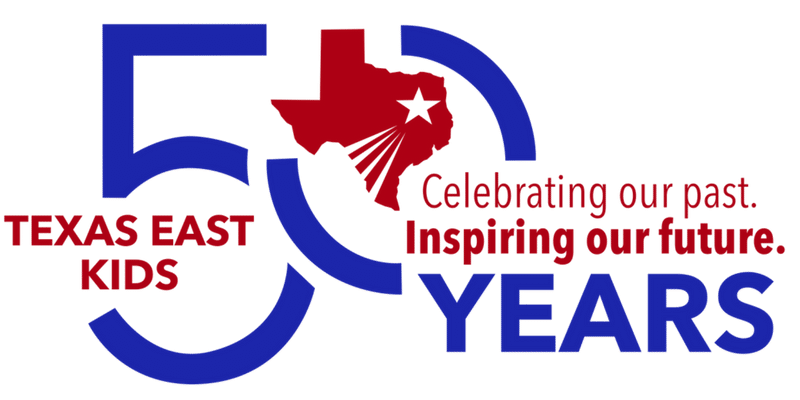 This is my 7th year here at Texas East. Lauren was born in Tyler, Texas and graduated from Whitehouse High School. 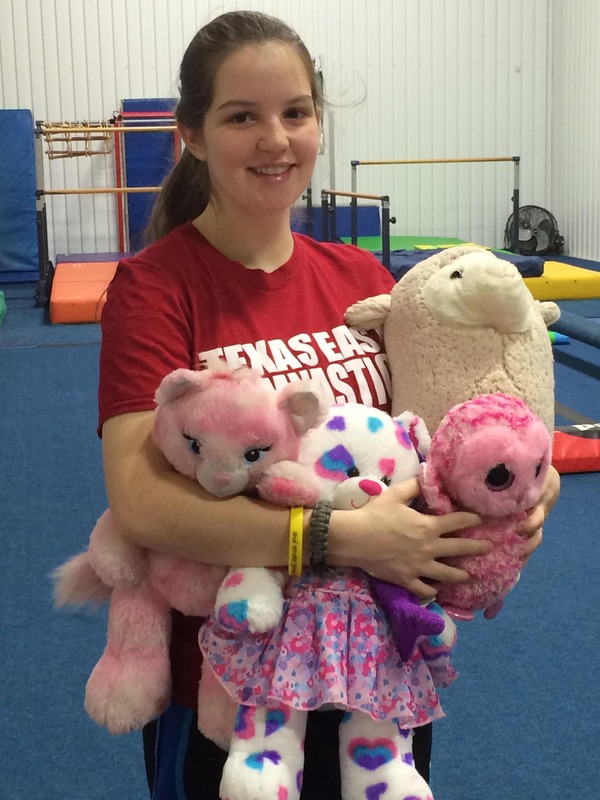 She is currently going to college at UT Tyler to pursue her Bachelors in Pediatric Nursing. 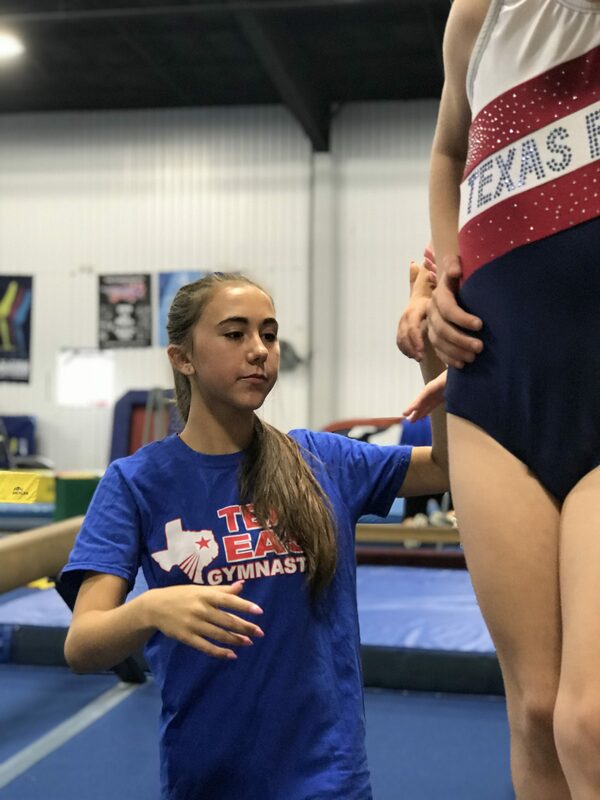 Lauren was a gymnast at TEG for 8 years and has a strong heart for children. In her spare time, she likes to sing and play instruments at church and school, as well as spend time with her friends and family. Sage was born in Beaumont, Tx. and moved to Tyler when she was 5 years old. She graduated high school in 2013 and pursed Kinesiology at TJC where she cheered. She is married and has 2 little girls. She has worked at TEG for 8 years. She graduated from Arp High School in 2015. She is attending Tyler Junior College to be a physical therapist assistant. She loves sports and hanging with her sister. She has 2 dogs, Gracie and Rascal. Laura graduated from UT Tyler in December 2017 and is currently getting ready to move to Romania for mission work. 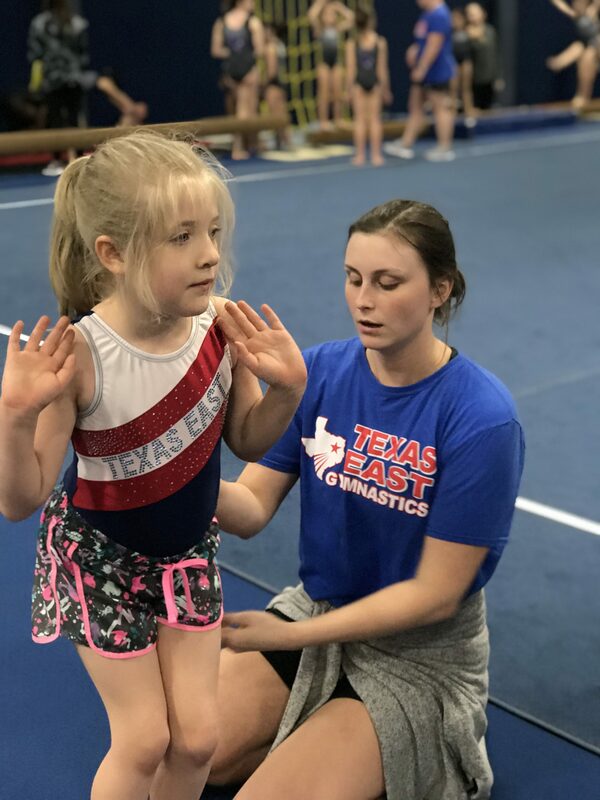 She has been coaching gymnastics at TEG for 3 years and loves working with kids and helping them grow. She also enjoys hiking, rock climbing and all things outdoors. Marisol was born and raised in Tyler, Texas. She graduated from Robert E. Lee High School in 2012 and then went off to study pediatric nursing at Stephen F. Austin State University. Marisol danced and played soccer for many years. Her favorite styles of dance are lyrical, contemporary, and jazz. Her favorite soccer team is FC Barcelona! She enjoys traveling, hiking, reading, petting puppies, and “punny” jokes! 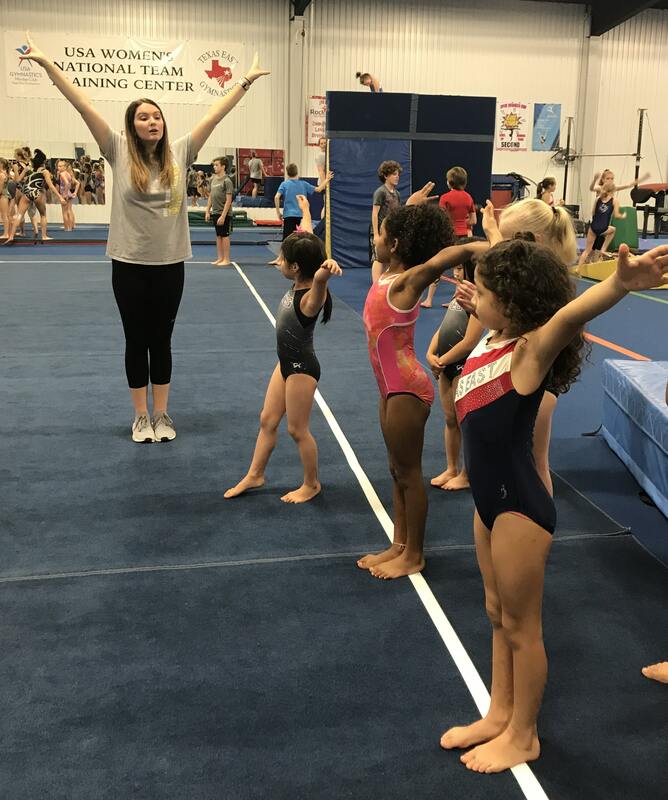 She is very excited to work with your tiny tumblers and gymnasts at TEK! I am from Fort Smith, Arkansas and moved to Tyler to pursue a degree in nursing. I enjoy baking, hiking, and playing with my dog. Josiah is an east Texas native, a graduate of Marshall High School and is currently pursuing a degree in speech communication at the University of Texas at Tyler. Music is a big part of his life as a hobby and a minor in college. He enjoys being in choir, playing piano and guitar, singing, and learning new and fascinating information and ideas. 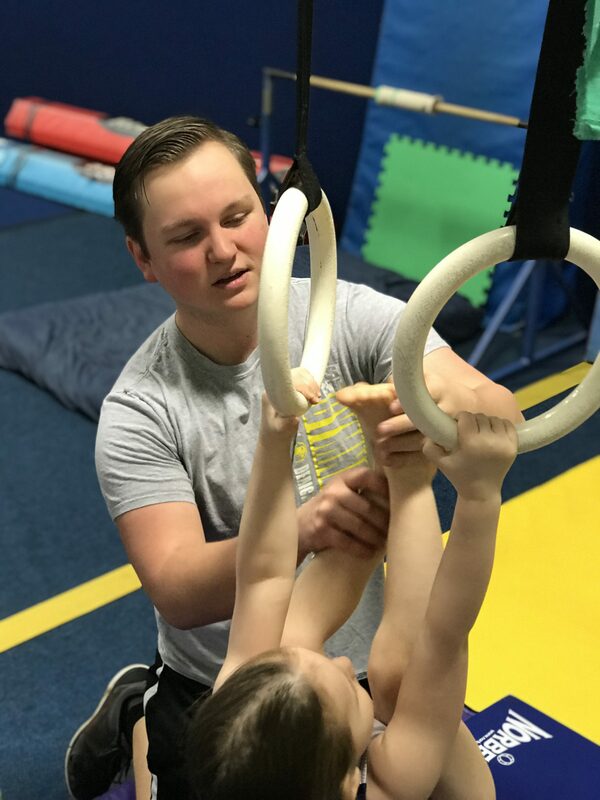 His gymnastics experience includes taking for a total of 8 years, 4 of which were spent competing in power tumbling, trampoline, and double mini. Brooke was born in Tyler, Texas and is currently attending Whitehouse High School as a Junior. She hopes to attend UT Tyler for Nursing School. Her dream is to be a Nurse Practitioner in Pediatrics. In her free time she is usually doing something involving her church and hanging out with friends. Scottie graduated Red Oak High School and is currently attending UT Tyler pursuing a degree in Civil Engineering. Scottie’s goal is to be a hands on private business civil engineer. He is engaged to be married to Hannah Alberts this December. Hi! My name is Alyssa Henderson, I am 19 years old, from Whitehouse, TX, and am currently a sophomore at Tyler Junior College. I am majoring in Biology with a Pre-Medicinal focus working towards the aspiration of becoming a Pediatrician that travels on medical missions. 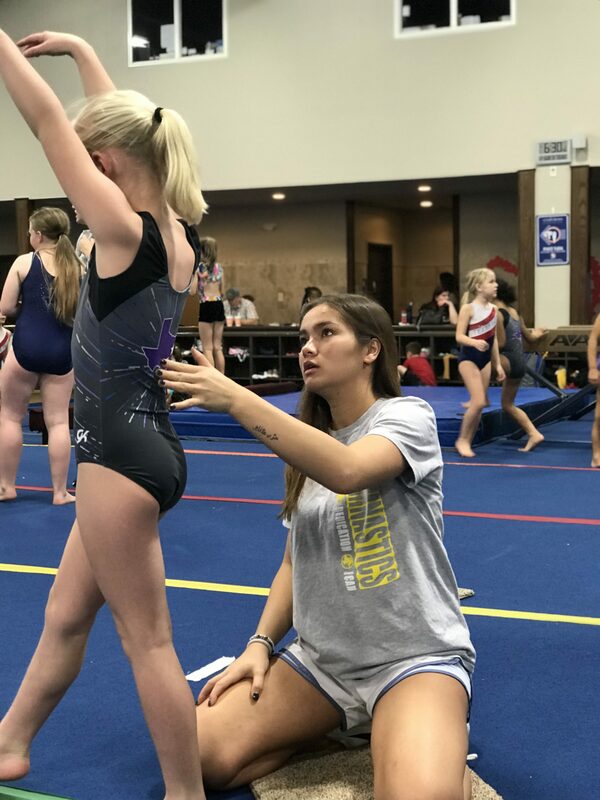 I was a TEG Gymnast for 10 years and never lost the passion for my favorite sport, so now I have been coaching for 4 years! I love to spend my spare time volunteering as a 10th grade Sunday school teacher, a senior girl’s Bible study leader, and an 8th grade mentor at the 110 Student Center in Green Acres Baptist Church. Maddie was born in Tyler, Texas. She is currently attending Robert E. Lee High School. 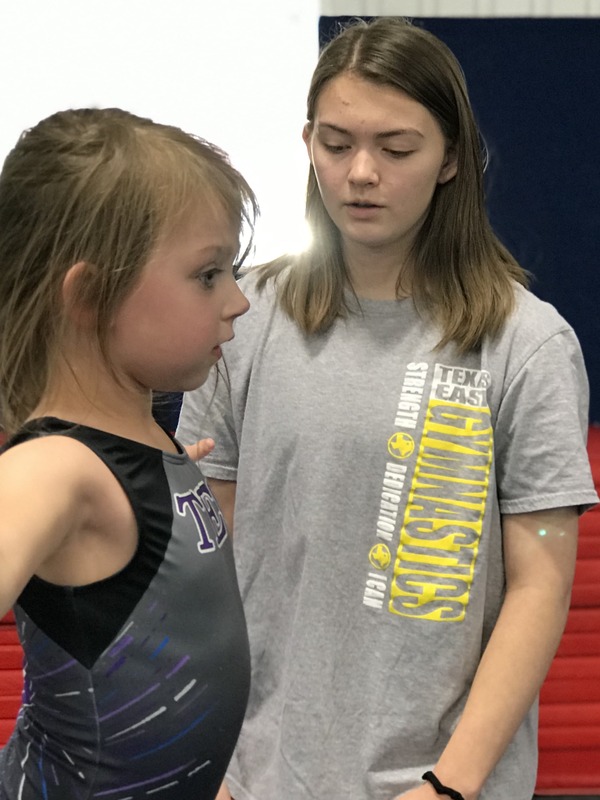 Maddie was a tumbler at TEG for a couple of years and gets great joy working with children. 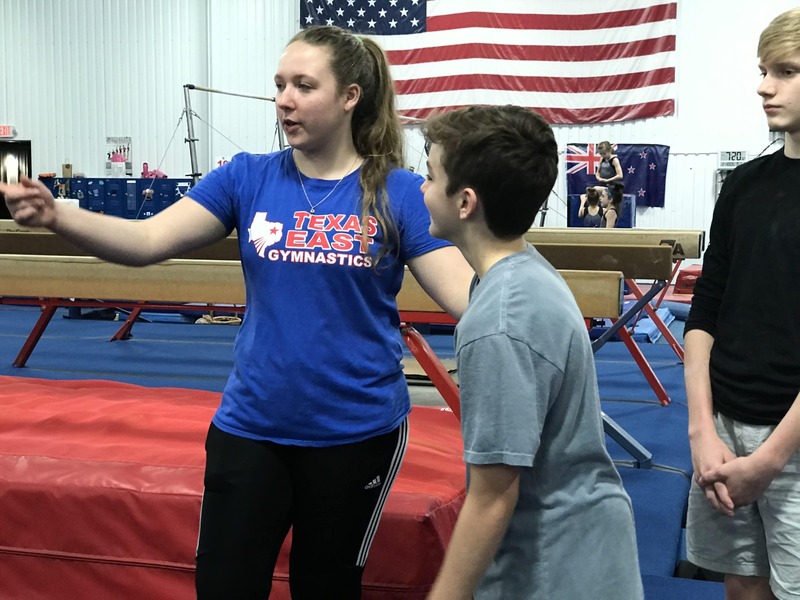 In her free time she likes to workout with her powerlifting team at Lee as well as spending time with her friends and family. Ali was born in Dallas, Texas and graduated from Kaufman High School. She is currently attending Tyler Junior College where she plans to get her associates in criminal justice. Ali is a TJC cheerleader and has cheered for many years. In her free time she likes going to concerts and spending time outside with her dog! Leah was born in Fort Smith, Arkansas and is currently a Senior at Bishop TK Gorman. 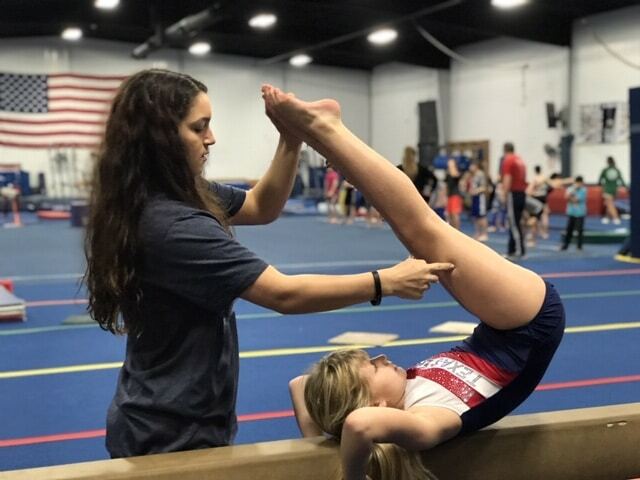 She has been a cheerleader for 7 years and took gymnastics for 7 years. 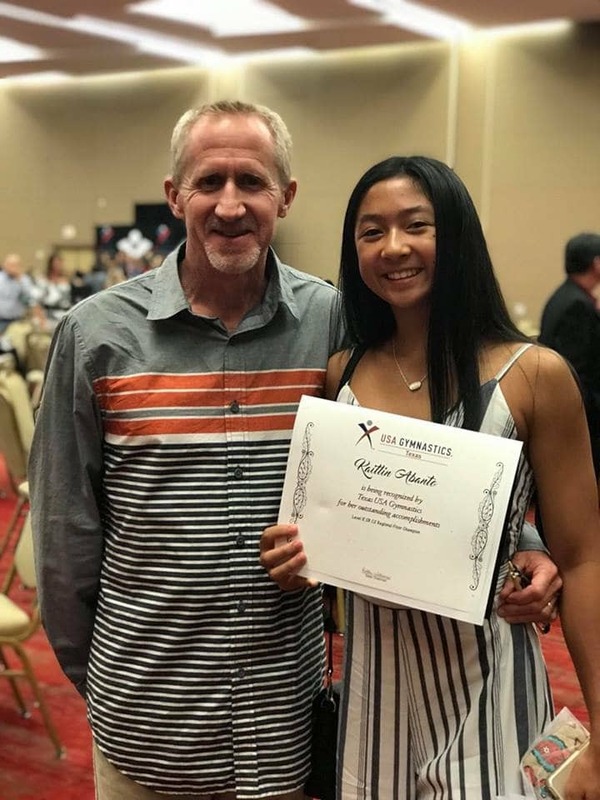 She will be attending UT Tyler in the fall and applying for the Nursing Program. Because of her big family, she has always loved teaching and playing with kids. She has worked at TEG for 2 years.